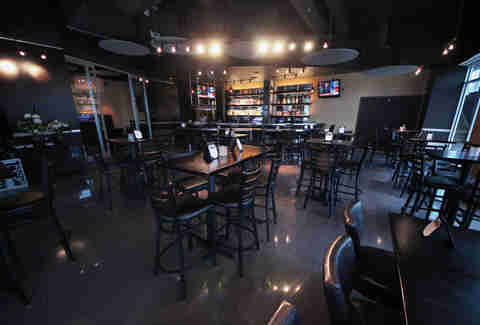 Opened in the former Grand Cru Mixologie space, the laid-back 1Hundred Bistro & Bar is the kind of place where you can find rich pub eats to go with your beverage of choice, and where the dark lounge-y vibe means the chances you meet an attractive young woman with sufficiently low standards are, if not exactly 1Hundred, probably over zero. Statistically speaking, anyway. 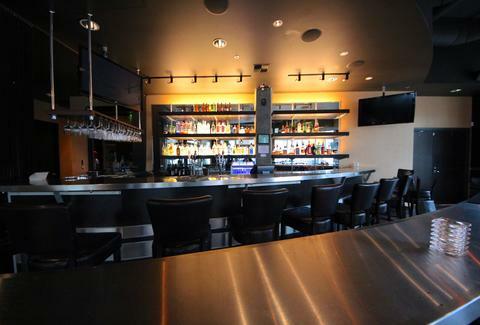 Post up at a bar-height table (or in their glass-enclosed private room) for mostly WA wines/drafts, or one of the standard wells, but not of their standard David Wells, since he's already had a bunch of drinks. 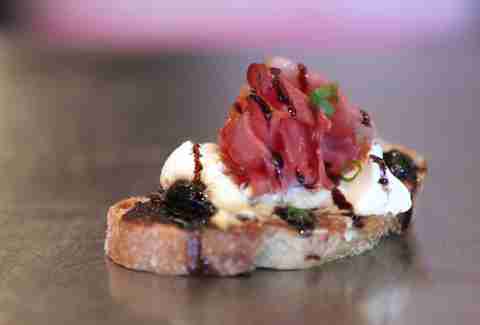 Food options include stuff that's "great with wine" like this prosciutto & goat cheese crostini w/ fig jam. 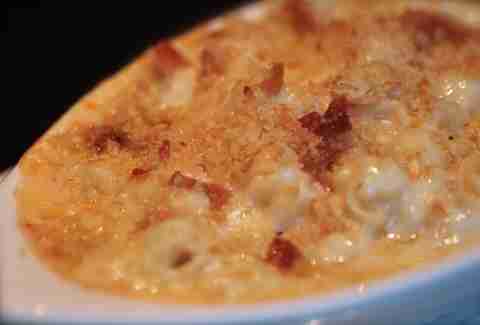 Heavier fare means Beecher's Flagship Mac & Cheese with what that Panzer did at the end of Saving Private Ryan: smoked pepper. 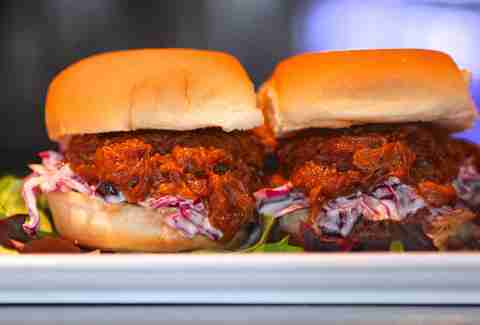 Or you can keep it light by opting for some bourbon BBQ pulled pork sliders topped with a slaw they're describing as "sweet and hot", not unlike that girl you technically have a statistically greater-than-zero chance of meeting while you're there.